Available to view on demand. 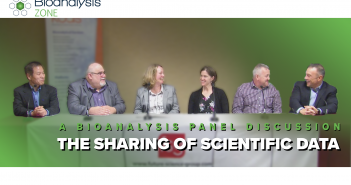 In this panel discussion we gain a 360° perspective from leading CRO and pharmaceutical leaders on the sharing of scientific data. Available to view on demand. 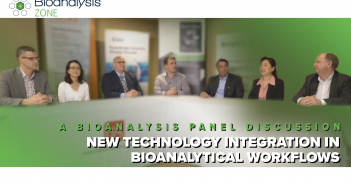 We present a rare opportunity to see experts from across the pharmaceutical and CRO industries sharing perspectives on new technology integration in the field of bioanalysis. 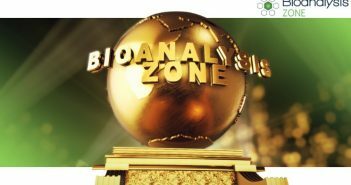 In late 2017 Bioanalysis and Bioanalysis Zone organized a panel discussion comprising of experts from leading CROs and pharmaceutical companies to converse about the latest topics in bioanalysis. 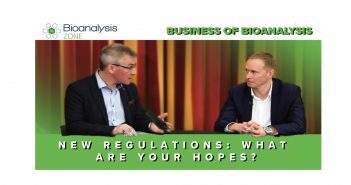 In this series of three panel discussions, key opinion leaders from both industries returned to partake in an open dialogue talking through the latest challenges the industry is facing and what changes they would like to see happen in the coming future. 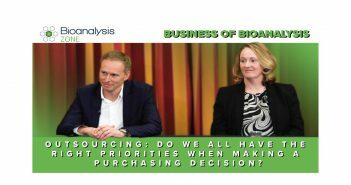 Outsourcing: do we all have the right priorities when making a purchasing decision? 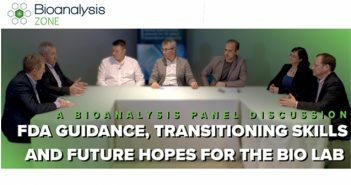 In part 1 of this 3-part panel discussion filmed in Barcelona our panel of experts discuss the issue of outsourcing and what priorities need considering when making a purchasing decision. What new technology would you like to see? 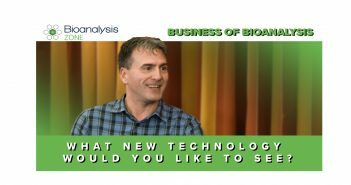 In the final part of this 3-part panel discussion, our experts talk through the recent changes in the type of molecules and technologies the field are working with and what new technologies need to emerge to overcome current problems. 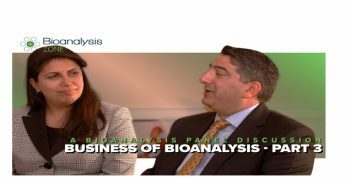 In this final video the Business of bioanalysis panelists discuss the impact of mergers, acquisitions, and organic growth on bioanalytical sciences. The scientific community in which we work goes beyond affiliation, movement of bioanalytical scientists and talent between CRO, pharmaceutical and instrument vendors. The business is robust, while management of corporate culture is critical.